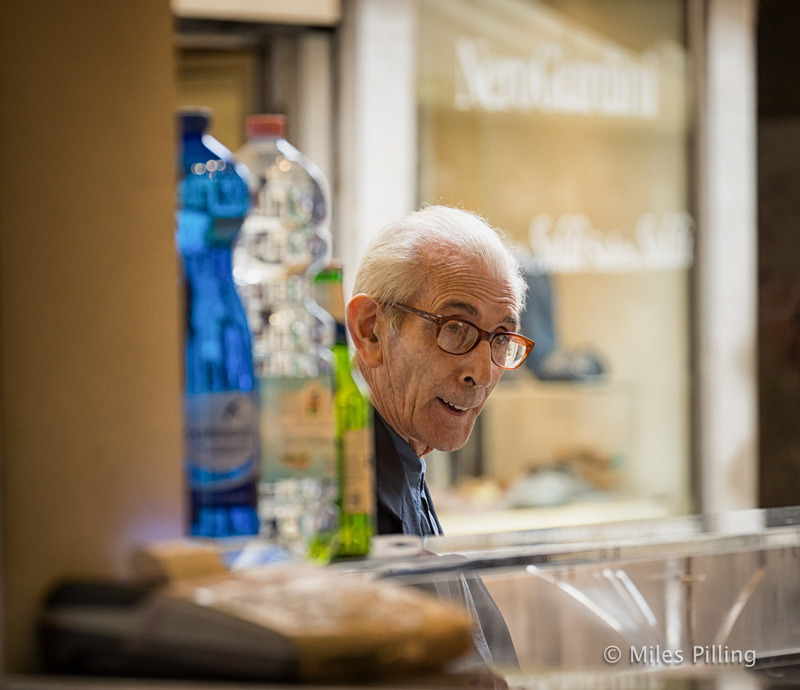 I like the way most Italians have an innate sense of style – whatever their age. 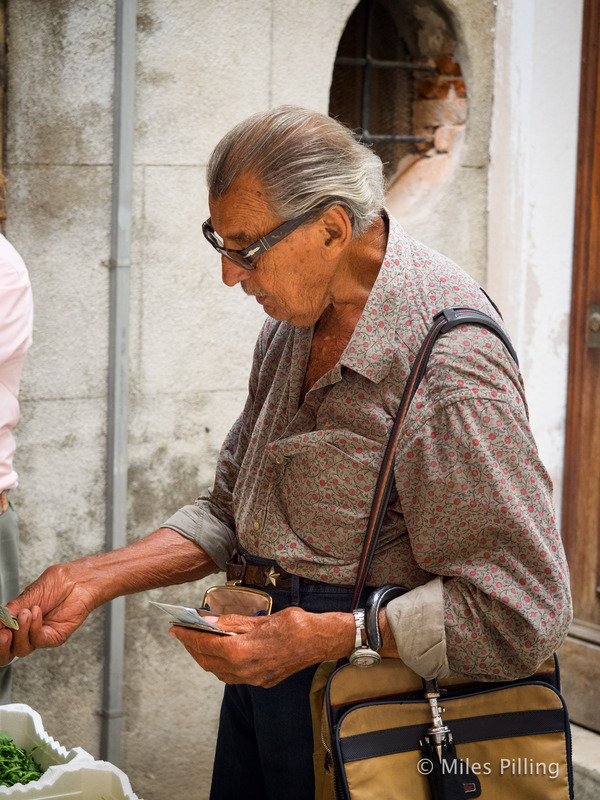 Here are two photographs of older Venetians who have definitely retained their style mojo – notice the umbrella hooked over his left arm, star-studded belt and the lovely watch. I took the next picture at the corner of a café that sold the Italian form of tapas, called cicchetti, at a street counter. This gentleman was passing the time of day with the owner. Again, I used my Panasonic 35-100mm f2.8 OIS lens paired with the Olympus OMD EM5 for both of these photographs. I’ve not had a moments regret about buying the 35-100. It’s bokeh (out of focus areas) is beautiful, and blows away the argument that you can’t get shallow depth of field on micro-four-third cameras. Excellent two shots. Great focus !! Really love these pictures; I think the second one is my favourite.